Seeking: someone to put on a concert for several thousand people in idyllic Southern California beach town. Must have experience with large events and adequate insurance. Understanding of spirited local community a plus. 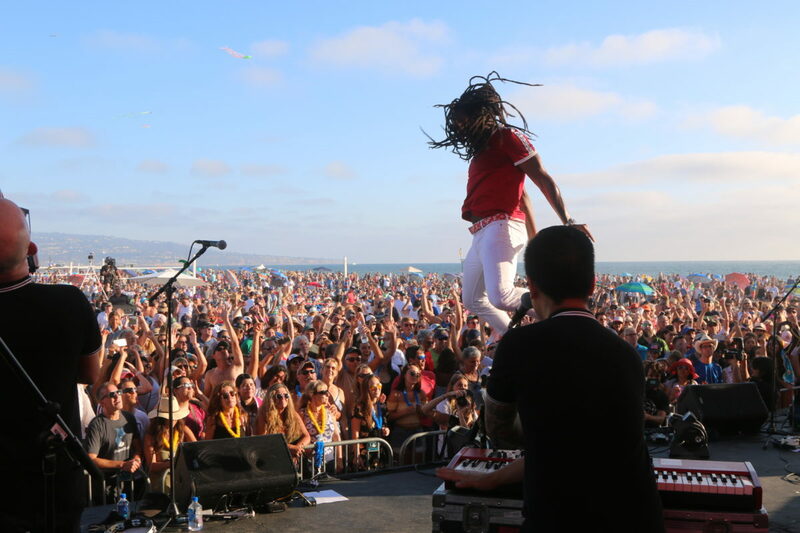 It’s not a personal ad, but a request for proposals: Hermosa Beach is seeking a producer to put its summer concert series after the departure of Allen Sanford, who organized four concerts each August for the past nine years. City officials said that producers have some flexibility in what they call for, but acknowledge that the person or group selected will not be painting on a blank canvas. Over the last decade, the concerts have regularly drawn thousands to the sand just south of the pier, which creates a built-in fan base, but also built-in expectations. “I’m hoping for something that gives us interesting options, but I don’t come from a place that we would want to mess with it in a super significant way: everyone loves concerts on the beach. That’s the starting point, and we’ll see where it goes from there,” said Mayor pro tem Mary Campbell, who along with Mayor Stacey Armato is on a City Council subcommittee overseeing the concerts. The request for proposals, issued Jan. 18, asks that the concerts remain free and feature a “high-caliber” mix of performers. Kelly Orta, the community resources manager for Hermosa Beach, said that while there are set criteria on which applications will be evaluated, including the experience and past productions of the applicant, the city will also be looking for bits of ingenuity. “The way the RFP is written is somewhat open-ended. It allows the proposer to have a certain level of creativity,” Orta said. Sanford and the city parted ways last fall. While seeking a five-year extension of his contract Sanford had, for the first time in running the concerts, sought guaranteed compensation to go along with whatever money he was able to raise from sponsorships. The city declined. The result was an acrimonious, public separation. In an op-ed published in Easy Reader, Sanford blamed turnover among city staff and the “culture of the [City] Council changing.” He also alluded to the difficulty of balancing safety and event quality in an open, outdoor venue, and in an interview questioned whether the city would know what to look for in an RFP. Shortly after the publication of the op-ed, the council voted to issue the RFP. Council members said at the time that they felt it would be fiscally irresponsible to sign a multi-year, guaranteed-compensation agreement without putting it through the bidding process. City officials promised that the show would go on. Orta declined to respond to Sanford’s characterizations, but said that the city had consulted those with experience in putting on concerts, including Parks and Rec Commissioner Jani Lange, who spent years working as a promoter. Orta said staff had also reached out to other cities with summer concerts series, of which there are more than 200 in California, many of them organized by the cities themselves. “I do feel that through our outreach with some of our peers in the industry and our neighboring municipalities, we have a sense of what we’re looking for,” Orta said. Perhaps the biggest challenge for the city is timing. Orta said that although August is six months away, it is a busy time for touring bands, and promoters often secure acts for summer shows as early as October. Proposals are due on Feb. 25, with panel interviews to follow and the council expected to make a decision sometime in March. As of press time, no pitches had been officially submitted. But, in a statement announcing the request for proposals, City Manager Suja Lowenthal said she had been informally contacted by several people interested in putting on the shows. Mike Bouchard, who ran the former Gasser Lounge on Aviation Boulevard in Redondo Beach, is among those considering submitting. Bouchard, who is also a musician, recently organized the well-received Brew Lagoon and Lobster Rock beer-and-music festivals at Seaside Lagoon. He is hoping that his track record there, and his understanding of fun in the South Bay, can propel his proposal. Also pondering a submission is resident Kevin Sousa. Sousa is a popular presence in local music venues, and has extensive experience in putting on concerts: he worked at House of Blues in the early ‘90s, then went on tour with bands such as The Eagles, serving as a guitar technician for Glenn Frey. More recently, he and fellow musician Jeremy Buck organized the concerts at the holiday tree lighting on the Hermosa Pier. Sousa said he would continue to incorporate higher-profile musicians playing original songs, but also get more local acts involved, as well as incorporate the town’s businesses and visual artists. “I think it’s taking what Allen did, and moving forward. He was a great steward of those concerts. I’d like to assist in overseeing it, and cultivating or growing it into even more of a local thing. Get more local acts in there, promoting the wonderful local scene,” he said. Note: A previous version of this story incorrectly implied that Sanford was offered a guaranteed compensation agreement on the condition that he reveal financial information.